SOM presented to journalists of WSCI 2015 August 24, 2015 - SOM presenting to Journalists all over the world that accompanied young science students that participated in WSCI 2015. SoM conducts a workshop for Turkish physical therapists March 9, 2014 - 9.3.14 SoM’s team and Ozsezikli Group (Istanbul, Turkey) conducted a successful workshop on motor control, motor learning and the practical implementation of the Re-Step™ system. The workshop participants, all experts in neurological rehabilitation, also had the opportunity to try out Re-Step™ on each other and on actual patients. 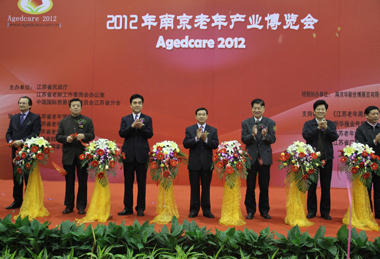 Re-Step™ Showcased in China February 18, 2014 - 18.02.14 SoM demonstrated Re-Step™ at AgedCare 2012 in Nanjing, which is China’s largest exhibition of products and services for the elderly market. Re-Step™’s system and technology generated considerable interest among both professionals and end-users. SoM’s team were invited to demonstrate Re-Step™ at several rehab clinics in Nanjing and Guangzhou, which expressed an interest to begin using the system in the near future. Re-Step™ in Turkey February 18, 2014 - 18.02.14 Re-Step™ and its use at the Ozsezikli clinic were featured on SHOW TV news, a nationwide TV channel in Turkey.